President Donald Trump made a third attempt at a travel ban on Sept. 24, 2017, issuing new restrictions on citizens from Chad, North Korea and Venezuela, in addition to five countries included in his previous bans. The presidential proclamation was based on a Homeland Security review of the vetting of immigrants and issuing of visas, the president said. Countries that did not meet new requirements, such as making information about suspected terrorists available, were included in the ban. The new restrictions came the day that part of Trump’s previous ban, barring people from six Muslim-majority countries from entering the United States for 90 days, expired. 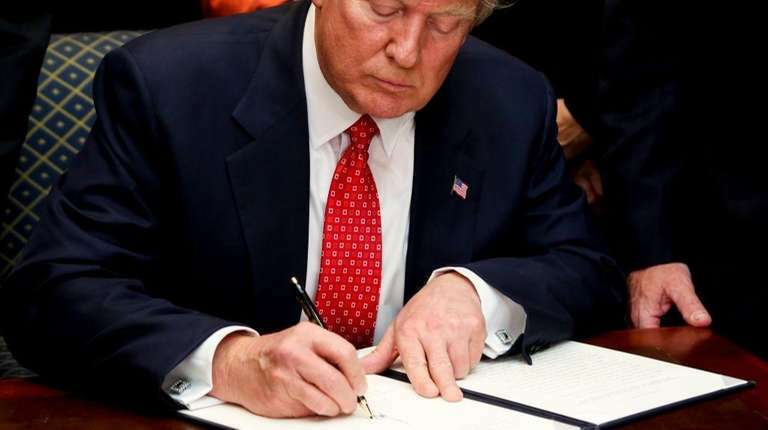 The March executive order had replaced another ban from January, both of which sparked outrage and were quickly blocked by federal courts as unconstitutional. A 120-day ban on refugees entering the country, which was also in the March order, will remain in effect until Oct. 24. The Supreme Court was set to hear oral arguments over the ban’s legality on Oct. 10, but with the latest proclamation, the court canceled the hearing and asked the parties involved to file new briefs. What countries are included in the ban? Citizens of seven countries — Chad, Iran, Libya, North Korea, Syria, Yemen and Somalia — will be banned from entering the United States. Additionally, Venezuelan government officials and their families will be barred from entering. Other Venezuelan citizens and citizens of Iraq, who were included in the original January executive order, will face heightened scrutiny, but are not banned, the proclamation says. Citizens of Sudan, who were included in the January order and the revised March order, are not included in the proclamation. Executive orders, presidential memoranda and proclamations are all actions a president can take, but they have similar purposes. The ban takes full effect on Oct. 18. The timing is indefinite, unlike the previous executive orders, which had time limits. Waivers may be granted to individuals who would suffer “undue hardship” if they could not enter and if their entry would be in the United State’s interest.